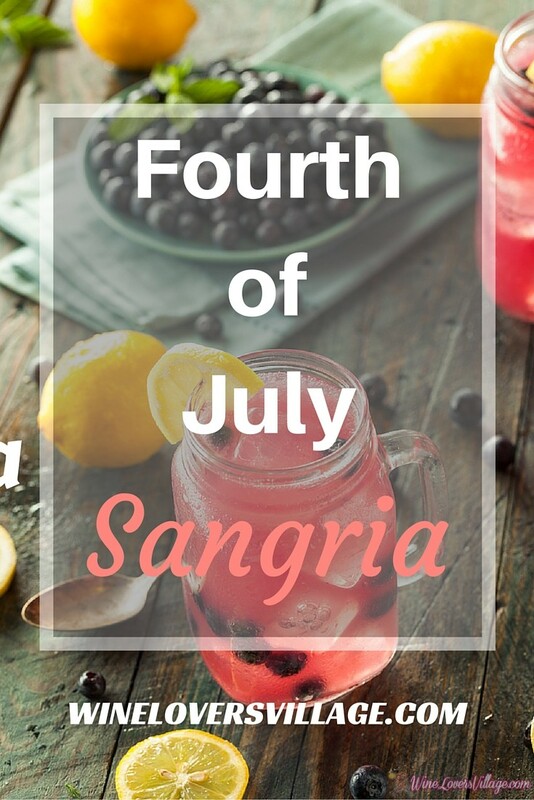 With the Fourth of July just days away, we are so excited to share an easy and fun Sangria with you. We love to use Moscato, a sweet, crisp white wine that’s just a little bubbly. Plus, it comes in flavors! For this recipe, we suggest mango, peach, or plain. 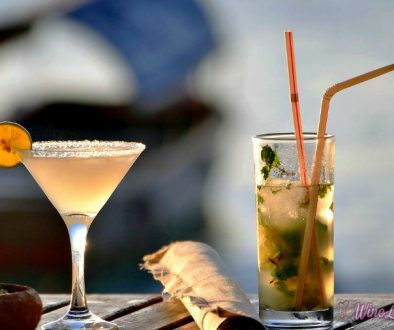 Baby, it’s hot outside, and the perfect time to cool off with summer cocktails. 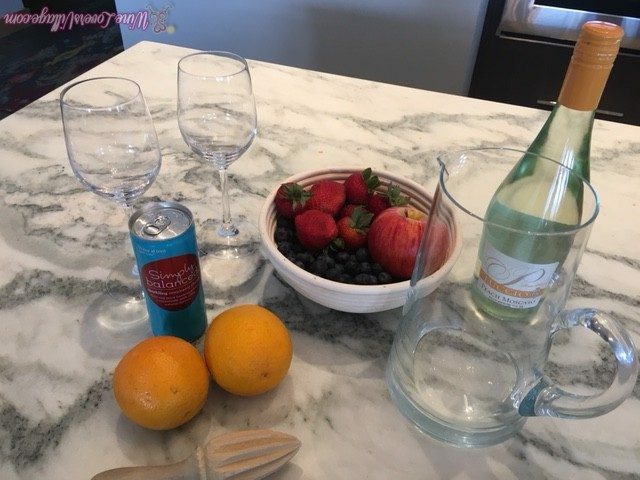 As wine lovers, of course, we lean toward a wine, and we are sure you’ll love our Refreshing Sangria Recipe. Cheers. 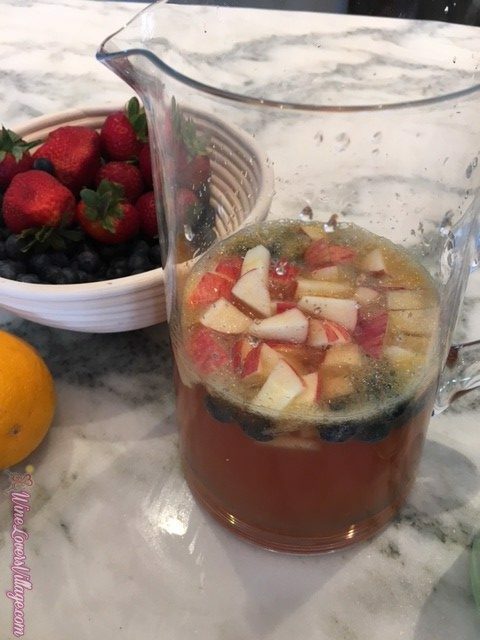 We mix our Sangria in a pitcher, let it sit in the refrigerator for at least 4 hours, and when ready to serve, pour over ice in a glass. This way it will keep longer, won’t be watered down, and the fruit will become more flavorful. You can really serve Sangria in any sort of glass you choose, including wine, mason jars, and beer. It’s up to you or what you have in your house! In your pitcher, pour the moscato, sparkling cranberry, and juice of the oranges. Add fruit and give a slight stir. Cover and place in refrigerator until ready to serve (you can even make up to a day ahead of time). When you are ready to serve, garnish a glass with a strawberry by removing the stem and making a slit to place on the glass. Fill the glass 1/2 -3/4 with ice and pour in Sangria, including fruit. 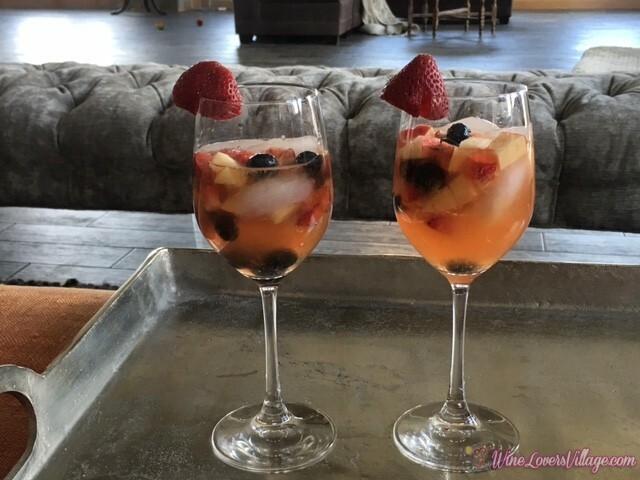 What is your favorite Sangria recipe?